It seems as though the rest of the industry shares our disdain for these situation and is moving to eliminate them. My last blog talked about gogbot and Homeaway.com creating an online review tool for VRBO properties where guests can leave reviews, pictures, local attractions and many other legitimatizing opinions of a property. In a similar step, Airbnb is now requiring double ID verification on its website. 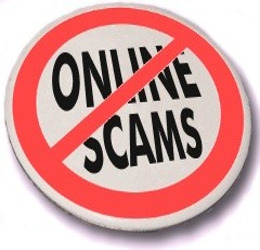 Users must now provide an online and offline ID to help weed out the less trustworthy people. The offline ID is a photo id that can be scanned through the Airbnb mobile app, while the online ID is more of a cross reference of your web presence. Airbnb will check your activity to verify that the 2 forms of ID match. They are hoping that this will increase accountability and make it safer for people to rent apartments out in security. So what does this mean for the professional property managers and their vacation rental properties? The answer in a nutshell is simple, it means more work. One of the major advantages of booking through a professional property manager was the security of having a brick and mortar business to trace your transaction back to. With all the new features that homeaway.com and others are rolling out, the online security for private properties is increasing. With the new trends of users referring to reviews and online recommendations when doing business the race for your clients business gets even tighter. So what tools do you have in your bag to compete? The largest advantage you maintain as a professional manager of vacation rentals is knowledge. Knowledge of the area is crucial in both recommending places to rent as well as recommending what to do in the area. Your biggest weakness is undoubtedly social media. When you consider how much time you as an employee have to cruise around Facebook and Twitter it is not a lot. However, social media is a great tool to get a VRBO listing out there so you need to make sure your company, and the software behind you has, not only a way to get to social media and portal partners, but more importantly, a way to make fast work of those leads that come in. All of this can be done with software currently on the market, so if you are not being given a fair shot, it may be time to re-evaluate your software.